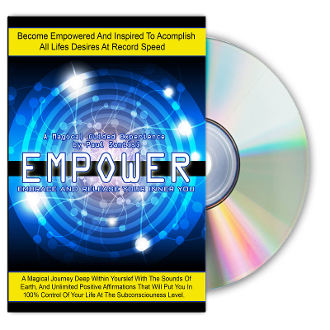 may you never be the same >> 2CD SET Guided Meditation "EMPOWERMENT"
2CD SET Guided Meditation "EMPOWERMENT"
BRAND NEW! Become inspired and empowered to to accomplish all of desires in life. A magical journey with the sounds of Earth, thunder, rain, wind, water, nature and wild life. An amazing experience. Over 1 hour!